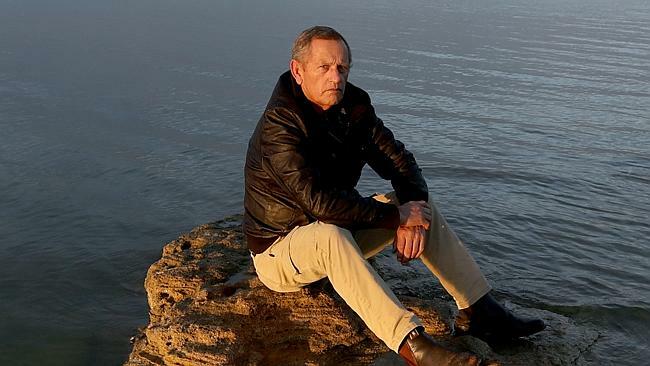 An Aboriginal elder culling fur seals amid govern­ment inaction over their invasion of the Coorong and Murray lakes faces fines of up to $100,000 or two years’ jail as part of an Environment Department investigation. Aussie seal killer Darrell Sum­ner has publicly admitted killing at least four seals by clubbing them to death or chopping them with his boat propeller. The resident of Meningie, a town at the northern end of the Coorong on the shores of Lake Albert­, said he had a “cultural respon­sibility” to protect pelicans, swans, terns and musk ducks, significant indigenous totems, from being “slaughtered” by long-nosed fur seals. More than 200 long-nosed fur seals are wreaking havoc on native animals­ and fish stocks, leading to calls from the opposition, fishing industry and traditional landowners for a humane shooting cull. The fur seal population in South Australia has increased to more than 100,000. A spokesman for South Australian Environment Minister Ian Hunter, who has ruled out a cull, confirmed Mr Sumner was being investigated for killing a protected species. He described the Coorong as “dead space with no birdlife” since the seals had come to a region “they’ve never belonged in”. FACT – Seals have traditionally lived in the Coorong. They were wiped out by early colonialists and are only now making a comeback. They are attracted to the region by fishing trawlers in the hope of an easy meal. He was seeking legal advice after having been interviewed by environment compliance officers. Liberal agriculture parliamentary secretary Adrian Pederick, who has stalled legislation in parliament to sanction a cull, said authorities should caution Mr Sumner rather than prosecute. “I can understand the frustration of the whole community, and there are others taking simil­ar action because the government has failed to act,” Mr Pederick said. Gary Hera-Singh, president of the Southern Fishermen’s Association, has said the seals were chewing through more than 500 tonnes of fish a day across South Australia, with the industry set to go bust within 18 months unless the government allowed a cull. The Weatherill government plans to spend $100,000 on a trial of non-lethal deterrents for seals.